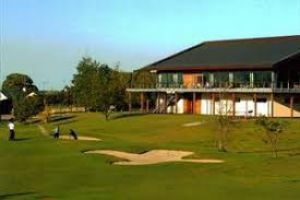 Wexford Golf Club is an 18-hole, 5,970 metres Par 72 with a standard scratch of 70, redesigned by Ryder Cup player Des Smyth. Located right in the historic town of Wexford. The first hole which is a Par 3, 174 metres, index 5, makes a statement that you are at the beginning of a roller-coaster round of golf. 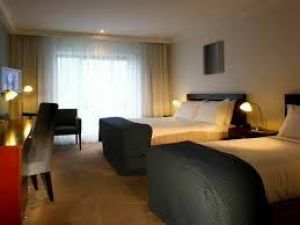 As you progress, you will enjoy panoramic and stunning views of Wexford Town and Harbour, Rosslare and Rosslare Harbour, with Forth Mountain, the Blackstairs and Wicklow Mountains in the background. The front nine has a Par of 35, and the back nine a Par of 37. The last four holes, which begin and end back at the clubhouse in a lovely loop, have to be played, to be believed. 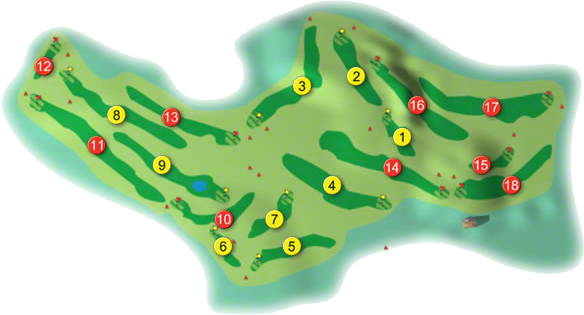 Visiting players consistently describe them as the most interesting finishing holes they have experienced. 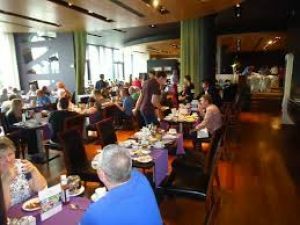 Visitors are always made welcome and the fine clubhouse caters for all the requirements the golfer requires. The Ladies of Wexford Golf Club won the Mid-Leinster Final of the Challenge Cup and were drawn against East-Leinster Champions Headfort Golf Club in the All-Ireland Semi-Final where they lost out to the Co. Meath team by 3 ½-matches to 1 ½-matches at Dundalk Golf Club on Friday 24th September 2016. First on the tee was Mary Walsh who lost out to Oonagh Clarke by 2 and 1, she was followed by Mary Fallon who lost her match by 4 and 3 against Susan Reilly, next up was Deirdre Greer who had a 3 and 2 win over Mary Bowler, in the penultimate match Pat Flanagan lost her match against Ita Cribbin by 4 and 3 in the bottom match of Bernie Power against was recorded as a halve against Helen Stafford when called-in. Headfort went on to beat Ballybunion by 4½-matches to ½-match in the All-Ireland Final. The Ladies of Wexford Golf Club won the All-Ireland Junior in 2012 at Courtown Golf Club when they beat Ulster Champions Clandeboye by 3-matches to 2-matches the team was Carmel Murphy, Sheila Richardson, Ruth Kennedy, Margaret Atkinson and Rachel O’Connor and the subs were Richella McCarvill, and Irene Sheehan, they were managed by Bernie Cooney. The Ladies Wexford Golf Club won their Regional Final of the Irish Senior Cup in 2010 and made their way to Cork Golf Club to compete in the National deciders, where they were drawn against Royal Portrush Ladies Club, the eventual green pennant winners in the All-Ireland Quarter Finals on Friday 13th August and recorded a result of 3½-matches to 1½-matches lose. They were led by Aisling O'Leary who lost her match by 1-hole to Charlene Reid, she was followed by Tara Dunne Tara Dunne who won her match against Maura Diamond, next up was Helen Lacey who lost her match to Niamh Quigg, the penultimate match of Sheila Richardson was recorded as a halve against Lucy Simpson when called-in , in the bottom match Margaret Atkinson lost by 4 and 3 against Helen Jones. They were captained by Mary O'Leary. Wexford Golf Club won the Leinster Fourball Trophy in 2008, when the team was Joe O'Shea, Mick Cronin, Jem Bridges, Pat Broghan, Tom Bolger, Tom Kehoe, Patsy O'Brien, John Stafford, Mick Fortune, Declan Curran, Jimmy O'Grady, Tom Conlon, Michael Byrne, John Flynn, Andy O'Brien, Tony O'Neill, John O'Neill and Larry O'Neill, they were managed by Sean Crosbie and selected by Niall Stafford. Wexford Golf Club won the Leinster Fourball Trophy in 2007, they beat Esker Hills in the Final, when the team was Kevin Bradley, Tony O’Neill, Liam Ruttledge, Sean Crosbie, Mick Cronin, Joe O’Shea, John Rackard, Tom Bolger, Tom Kehoe, Paul Bridges, Jim Kelly, John Stafford, Mick Creane, Mick Fortune, David Kirwan, John O’Neill, Jimmy Thomas, they were managed by Derek Casey. Larry Murphy and James Bridges won the County Holmpatrick Cup at St. Helen's Bay in 2007. 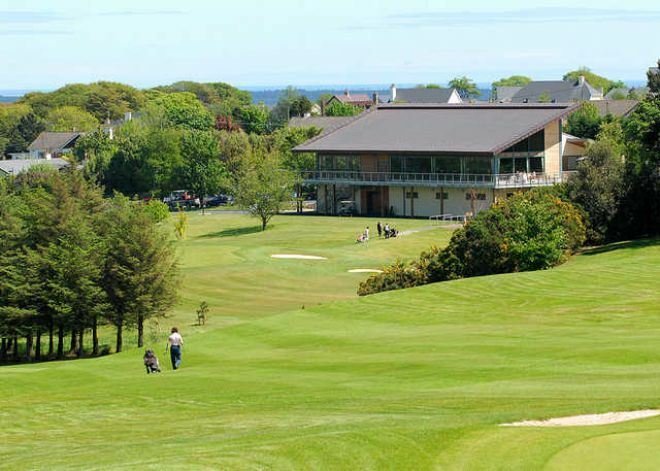 Wexford Golf Club won the Provincial Towns Cup in 2004, when the team was, Nicky Murphy, Roy Doyle, Brian Morris, John Hayes, Tommy Mahoney, Declan Furlong, Vincent O'Reilly, James Murphy, Declan Rossiter, Peter Byrne, Sean Flood, Edward Rossiter, T. A. Ryan and John Quigley, they were managed by Tom Connor and David Farrell. Wexford Golf Club won the Leinster Final of the Fred Daly in 1994 at Blainroe Golf Club when the team was Aidan Murphy, Glen Robinson, Gary Roach, Kieran Kiley and they were captained by Colm Byrne and managed by Eugene Byrne. They won it again in 1998 when the team was Mark Mullen, Barry Nolan, Bobby Cahan, Tony O'Leary and Graham Robinson they were captained by Eugene Byrne. Wexford won the Slaney Shield in 1987, when the team was, S. O'Gorman, E. Mulvihill, S. Tyghe, K. Roche and M. Byrne, they were managed by S. Crosbie. The Girls won the All-Ireland I.L.G.U. Schools Championship in 1993 having won the Leinster Final in 1992. They won the County J. B. Carr Diamond Trophy in 1997, when the team was, Jack Cullen, George Walsh, Eugene Byrne, J. O'Connor, Tommy A. Ryan, Seamus Kelly, Mal O'Keeffe, Dennis Curtis, Fran Considine, Michael Mahon and Pascal Whitmore, they won it again in 1999, 2004, 2005, 2006 and 2007, when the team was Pat Daly, John McNicholas, Vincent O'Reilly, Tony O'Neill, John Kirwin, Eddie Mcguire, Ray Quinn, Jim Kelly, John Lacey and Fran Considine, they were managed by T. A. Ryan. Elaine Dowdall was selected on the ILGU Senior A squad in November 2000, she played some golf to win her second Lancome Ladies Intermediate Championship at Limerick G. C. when she beat Marie Morrin from Naas G. C. 4 and 3. Elaine was three under for the 15 holes. She was selected to play in the Home Internationals at Royal Dornoch, in August 1999, having played at Lahinch in 1997 and Burnham and Berrow in 1998. She played in the European Team Championship at Nordcentre Golf and Country Club, Finland in 1997, and played for Ireland in the European Lady Junior Championship at the Colony Golf Club Vienna in 1994, at Nairn Golf Club, Scotland in 1996 and again at Oslo Golf Club, Norway in 1998, having played for Ireland in the Girls' Home Internationals, at Moseley Golf Club in 1992, at Helensburgh in 1993, at Gog Magog Golf Club in 1994 and at Northop Golf Club in 1995. Aisling O'Leary played for in the Girls' Home Internationals at Moseley Golf Club in 1992 and at Gog Magog Golf Club in 1994, and at Northop Golf Club in 1995.